A better way for agents to handle incoming callers is to use a warm transfer. The term “warm transfer” can mean different things to different people. For this blog post we are going to use this scenario to explain a warm transfer: Agent A (Artemis) is speaking to the caller. Artemis needs to transfer the caller to Agent B (Barnabas). Artemis conferences in Barnabas, introduces the caller to Barnabas and then releases the call. In this blog post we will setup a very simple call center that supports warm transfers using Twilio’s Java helper library and an Apache Tomcat server. If you are only interested in the finished product, all of the code used in this post can be found on Github here. The first step to building our call center is to set up our environment. Since we are using Tomcat to implement our web server you can follow the Twilio Quickstart to get started with Tomcat and the Twilio SDK. Take your time and make sure your environment is setup properly before continuing on with this post. If you’ve never used Maven, I suggest following Option 2 in the quickstart and downloading the .jar file directly. Our server is working locally, but we will need to be able to access it publicly so that Twilio can reach it. We can use ngrok to do this. Ngrok is a command line tool that can create a public tunnel to access your localhost. If you’ve never used ngrok before consider reading this blog post by Kevin Whinnery to get familiar with it. Once you have ngrok installed, run $ ngrok http 8080 in a terminal and navigate to the URL it gives you (see image below) in a browser. This mapping tells our web server that when a request to the /handle-caller URL is made it should forward to the TwilioCallerServlet class. Let’s build this class in a new file now. 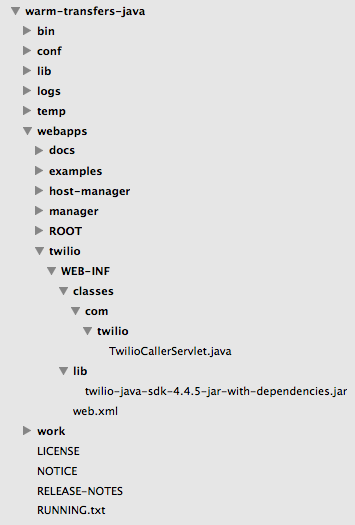 Navigate to /webapps/twilio/WEB-INF/classes/com/twilio and create a new file called TwilioCallerServlet.java. This servlet will return TwiML instructions according to the incoming caller. // Dial verb allows callers to enter conference. // Conference will be named SupportRoom. This code creates a new TwiMLResponse() object and appends a Dial verb and a Conference noun to it. This means that when this TwiML is prepared by Twilio, the caller will be placed in a conference named “SupportRoom”. If you wish to learn more about TwiML verbs see the Twilio documentation here. If you are receiving compilation errors then the classpaths specified in your command are not correct or you are running the command from the wrong directory. Now we need to restart the Tomcat server for our changes to take effect. Do this by running $ sh bin/shutdown.sh and then running $ sh bin/startup.sh again. Remember you’ll need to restart your server any time you recompile your Java files for the changes to take effect. Replace each variable with the appropriate data: Your ACCOUNT_SID and AUTH_TOKEN can be found on your Twilio account dashboard. CALL_ENDPOINT will be the URL generated by your ngrok server with your servlet mapping appended to it (For example: http://229cd6dd.ngrok.io/twilio/handle-caller). 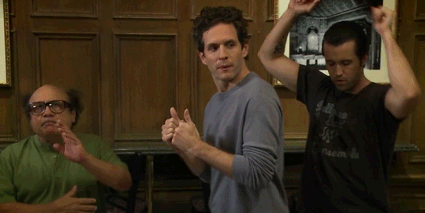 ARTEMIS_NUMBER is the phone number of your first agent. This is the number that will answer all incoming calls to your Twilio number. BARNABAS_NUMBER is the phone number that will receive the warm transfer from Artemis. Lastly, SUPPORT_NUMBER is your Twilio number that callers will call into. // Check if any key presses were made. // If digits were pressed, Artemis needs to conference Barnabas. // Call Barnabas to bring into conference. // Check if incoming call is coming directly to our Support Number. // Call Artemis to connect to incoming caller. // Check if the incoming call is coming to Artemis. // Calls coming to Barnabas will receive the same TwiML as the initial caller. Our servlet is checking if a “1” was entered into the keypad by our first agent (Artemis) after disconnecting from the conference. If it was, our second agent (Barnabas) will be dialed and Artemis will be reconnected to the conference. If no input was sent, we must check where the incoming call is coming from. If a regular caller is dialing into your Twilio number, they must be connected with Artemis. Artemis will be sent different TwiML that contains a Gather verb to collect input from the keypad. Combined with the setHangupOnStar attribute, this allows Artemis to press “*1” to dial Barnabas. The last step is to buy a Twilio phone number and configure it to reach out to our TwilioCallerServlet servlet. 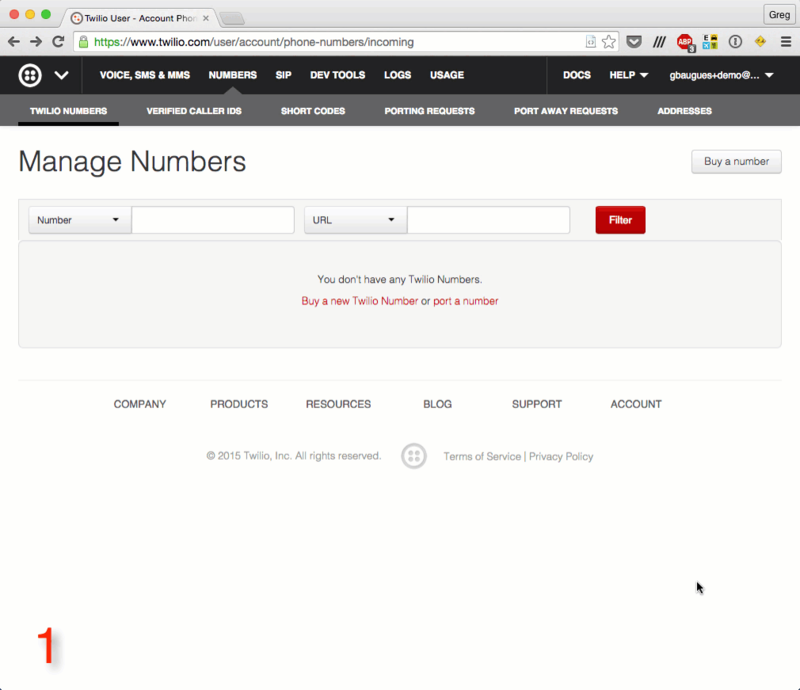 From the Twilio account dashboard, follow the animation below to purchase a new number. This number will serve as our support line. Remember to restart your Tomcat server and make sure your ngrok tunnel is online. You can test out your application by having someone call your Twilio number. Your first agent (Artemis) will receive a phone call and be placed into a conference with the caller. When Artemis presses “*1”, your second agent (Barnabas) will then receive a call and be placed into the same conference. This allows Artemis to introduce the caller before handing them off to Barnabas. Note: This is a very simple implementation of a call center and it can be improved in many ways. Keep your eyes peeled for future Java posts that expand on what we’ve built here. If you ran into any issues or have feedback on this tutorial, please don’t hesitate to leave a comment below or reach out to me via Twitter @brodan_ or email me at chranj@twilio.com.